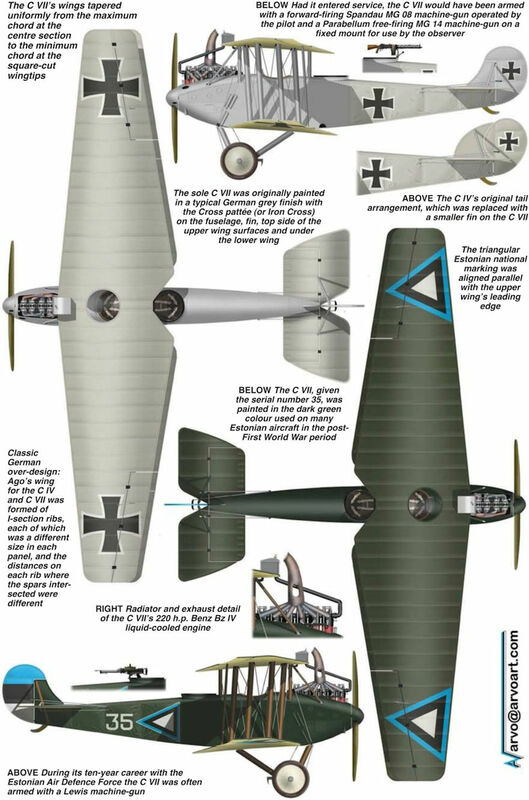 A poor-quality but extremely rare photograph of the sole Ago C VII in its original German markings. The Ago company was unusual for the time in having a woman, Elisabeth Worner, as one of its directors. A previously unpublished photograph of the C VII in Estonian service in 1922, with its serial number, 35, prominently displayed on the fuselage.